The Sichuan-Tibet Southern Highway Overland Tour is famous in China and around the world. It is a long way of a total distance of 2142 km but the scenery is definitely worth seeing and you will have a life-long unforgettable memory after the tour. Along the way, you can view natural views from plains to plateau. The changes of elevations bring fresh and stunning changes of landscape. That’s why many people list this route into their dreaming overland tour in their life. You can take as many photos as you like during the trip because it is the photography tour with so many picturesque spots. The river, lake, green mountains, snow-capped mountains, and winding roads together make a panorama of magic southwest of China. Please follow us and we will provide the best overland tour you have ever had! We will meet you at the airport or train station and transfer you to the hotel. After you check in and have a rest, we will have dinner together. Chengdu is famous for its delicious food, so we will recommend local tasty food for you. After the dinner, you can go back to hotel and sleep well. Today we will head to Leshan to see the world famous Giant Buddha. Leshan Giant Buddha is a huge statue of Maitreya located in a hill according to the terrain. The total height of the Buddha is 71 meters, which makes it the world’s tallest stone carved Maitreya’s statue. It looks very solemn and majestic and people can feel human’s small standing before it. The Buddha was constructed in the 8th century and lasted for 90 years to complete the giant project. After visiting the Giant Buddha, we will drive to Ya’an, which will take about one and a half hour. Ya’an is an ancient city with very beautiful scenery. It is also called “A City of Rain” because there were much rainfall in this city. A proverb said in Ya’an there were no consecutive three sunny days. Ya’an is also the home of Panda. In Bifeng Gorge, there is panda base and there are so many trees in the mountains. We will live in Ya’an today and head to Kangding the next day. Today we will leave Ya’an and head to Kangding, the capital city of Garze Tibetan Autonomous Prefecture of Sichuan Province. Along the way, you can view the typical landscape of West Sichuan plateau. 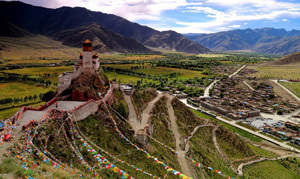 Kangding is famous for its ancient history and Tibetan culture. From the history, it was the strategically important city between Sichuan and Tibet and a city connecting Han cultural and Tibetan culture. We will stay in Kangding for tonight and head to Litang the next day. After breakfast, we will leave Kangding and head to Litang, the destination for today’s drive. 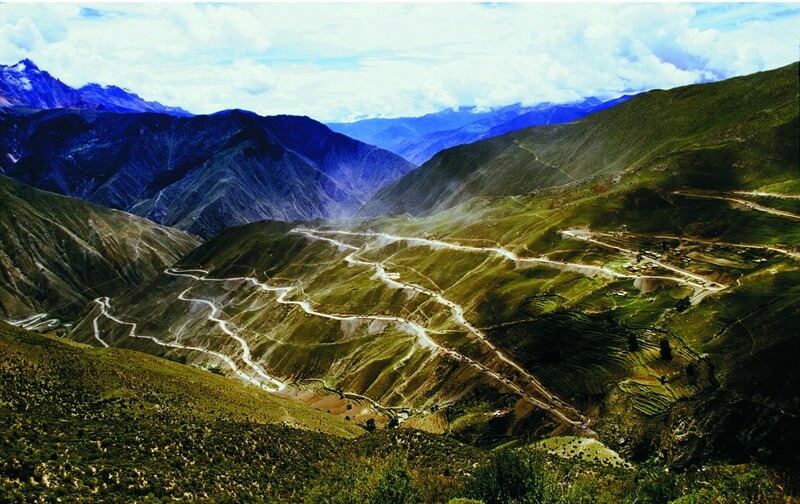 First, we will drive to Xinduqiao, which is the connecting point of Sichuan-Tibet northern and southern highway routes. 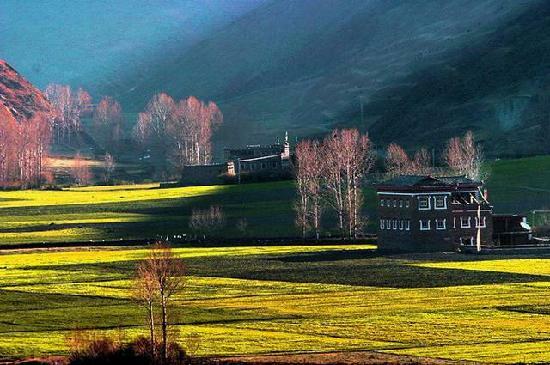 The distance between Kangding and Xinduqiao is 80 km and it takes around 2 hours to get there. We will have lunch in Xinduqiao and you have time to take photos there because the natural view is very fascinating. Then we will head to Litang County. Litang has a mixed population of many ethnics, such as Tibetan, Han, Mongolian, Hui, Naxi, Tujia and etc. 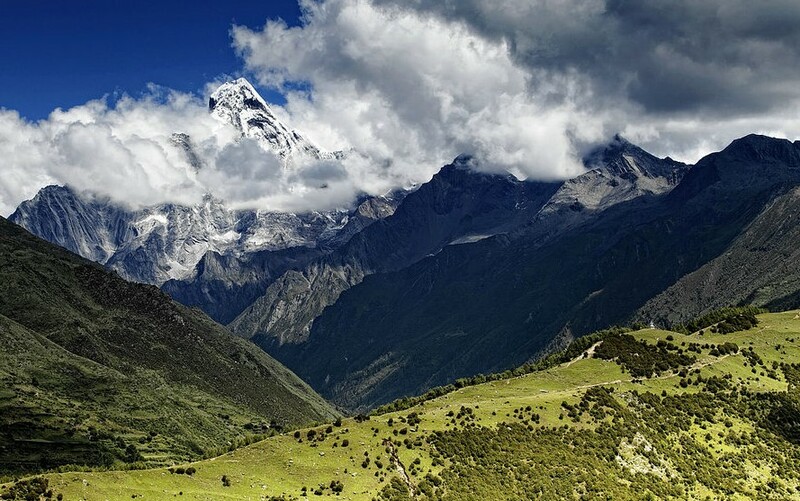 Although the altitude is above 4,000 meters, you will not have a strong feeling of Mountain Sickness, instead the climate is very pleasant there. You will feel very comfortable while staying. We will live in Litang at night and head to Markam the next day. Today we will leave Litang and head to Markam. Along the way, we will arrive at Batang first and have lunch there. The landscape between Litang and Batang is much like Mongolian pasture. There are vast beautiful lands of pasture and many yaks and sheep graze on it. Batang is the last county we will stay in Sichuan Province and Markam is the first county we will stay in Tibet. So after leaving Batang, we will enter Tibet. We can see Jinsha River soon after leaving Batang. 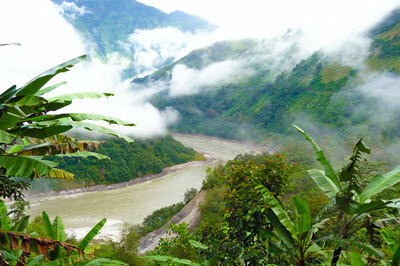 It is a boundary river between Sichuan and Tibet. Markam is located in the easternmost part of Qamdo prefecture. 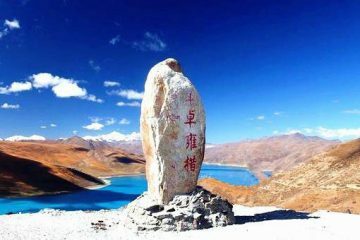 It is the connecting point of Sichuan, Yunnan and Tibet. 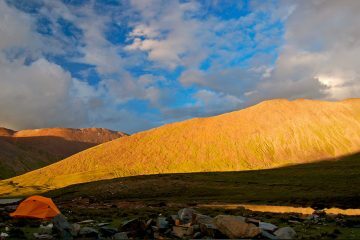 In Tibetan, Markam means “Kind and Excellent Area”. There are many mineral resources and various kinds of animals and plants here. We will stay in Markam for tonight and head to Ranwu Lake the next day. Today we will leave Markam and head to Ramwu Lake. First, we will arrive Zogong County for about 4 hours’ drive. We will have lunch there. Then we continue to drive to Basu County. There are many high mountains along the way and it used to be the Tea House Ancient Road connecting Tibet and Sichuan. After arriving Basu, we will head to Ramwu Lake for about 90 km. Ramwu Lake is surrounded by snow mountains. Due to its isolated location, the lake preserves a pure scenery. You can take photos here and enjoy the natural beauty. Tonight we will stay in the hotel near the lake. Today we will leave Ramwu Lake and head to Nyingchi. First we will drive to Pomi. The landscape along the way is very beautiful. Someone even call it the most beautiful part of G318 National Highway. It takes about 4 hours to arrive Pomi and we will have lunch there. After that, we head to Nyingchi. Along the way, there are Lulang Forest and Huge Cypress which we can stop for some time to take photos. 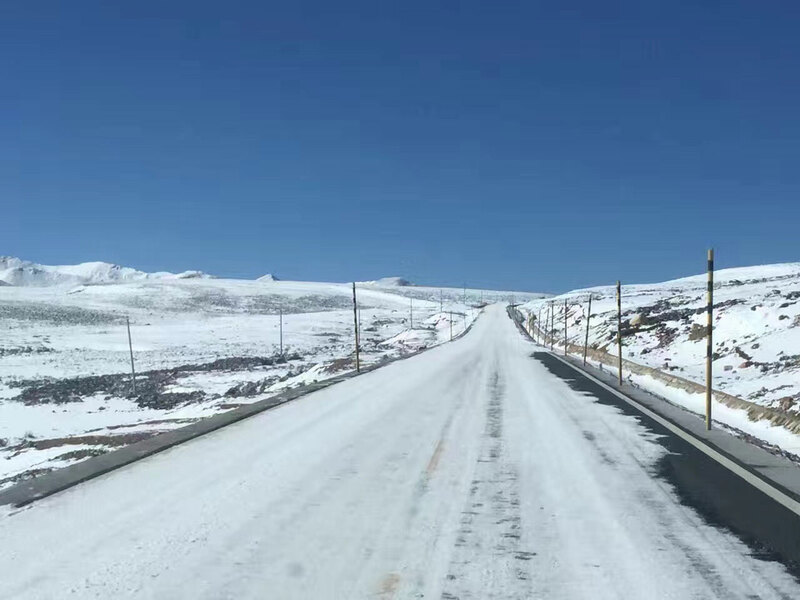 The road condition is not very good because there are sand roads and we need to drive very careful. However, the natural beauty along the road is very worth seeing. We will stay in Nyingchi and head to Tidrum Hot Spring the next day. Today we will head to Nyingchi to Tidrum Hot Spring. First, we will head to Basum Lake, the holy lake for Nyingmapa Sect. After enjoying the beautiful scenery of Basum Lake, we will continue our drive to Tidrum Hot Spring. 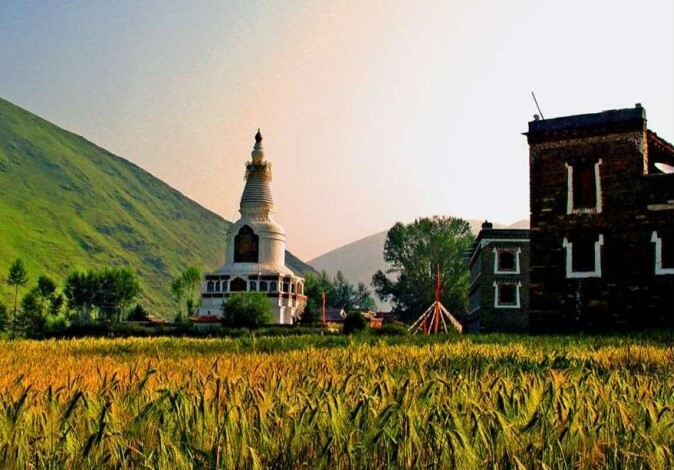 There is a nunnery nearby called Tidrum Nunnery and Guru Rinpoche was said to meditate there. We will have a comfortable bath in Tidrum Hot Spring. The hot spring is said to have magical healing power for many illnesses. Many Tibetan people and visitors come to have a leisure time. At night, we will stay at Tidrum Hot Spring and head to Lhasa next day. Today we will leave Tidrum Hot Spring and head to Lhasa. After the relaxation in the hot spring, you must have a good rest and refresh a lot. It is not far from the hot spring to Lhasa, only 140 km for about 4 hours’ drive. When we arrive Lhasa, you can take a good rest and enjoy some free time. We will start our highlight Lhasa tour next day. Today we will go to the must-see attractions in Lhasa city. 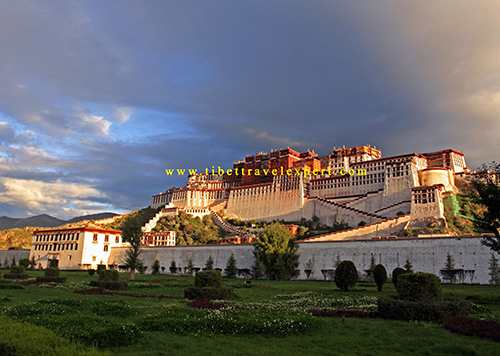 In the morning, we will start our tour from the world’s highest palace, Potala Palace. There are so many to see inside of the palace, such as marvelous Buddhism frescos, statues, scriptures and other religious stuff. After about one hour visiting, we will head to Jokhang Temple, the most significant Buddhism temple in Tibet. You will see the famous Sakyamuni statue which was brought by Princess Wencheng in Tang Dynasty. There are many pilgrims worshipping in and around the temple, which add strong religious atmosphere in the holy temple. Around Jokhang Temple lies Barkhor Street which sells many Tibetan local artifacts, religious stuff an etc. You can buy what you want but remember bargain with the vendors. There are also many pilgrims circumambulating around Barkhor Street. Their devoutness will definitely leave a deep impression on you. The Barkhor Street is a window to know local Tibetan life and provide a real taste of Tibet. Tips: 1. You only have one hour to stay in Potala Palace so please manage your time reasonably. 2. When entering the palace or temple, please keep quiet and obey every rule inside. 3. Please do not disturb the pilgrims and show respect to them. 4. When you are outside, prevent sun burning because the sunlight is strong in Lhasa city. Today we will begin our tour from Norbulingka first and drive to Drepung Monastery and Sera Monastery which are close to Lhasa city. Norbulingka is located near Potala Pace in the west part of Lhasa city. It is the summer palace of Dalai Lama and collect many precious stuff, such as Italian chandeliers, Ajanta frescos and Tibetan carpets. We will spend around one hour and a half here. Then we will drive to Drepung Monastery, the largest monastery housing 10,000 monks once in history. We will spend two and a half hours here. You can explore the monastery with plenty of time. After lunch, we drive to Sera Monastery, which is in the north of Lhasa city. The monastery is famous for the debating among monks about philosophies and Buddha scriptures. You will be impressed by their serious attitude toward studying Buddhism. Then we will drive back to Lhasa and you can freely explore the city at night. Today is free for you until our tour guide transfer you to the airport or drop you off at the train station. 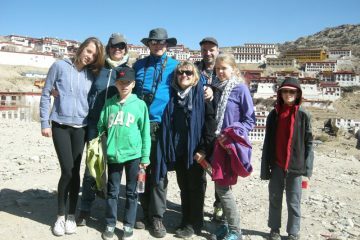 Hope you have a nice trip with us and we welcome you for your next Tibet trip! Tips: 1. Pack your luggage carefully before departure and make sure you bring all important stuff, like ID card, passport, mobile phone, wallet, mobile phone charger. 2. The hotel checkout time is usually on 12pm. If you have flights in the afternoon, you can leave you luggage in the storing room and remember to take it when leave.